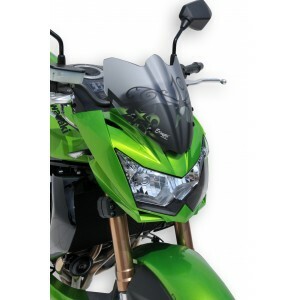 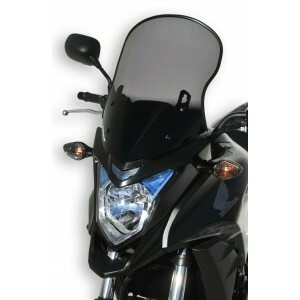 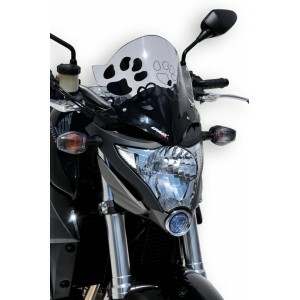 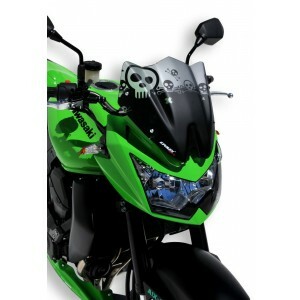 Universal adaptable nose screen 25 cm : it gives a new look to your motorcycle, with a wide choice of colors and silkscreens in option. 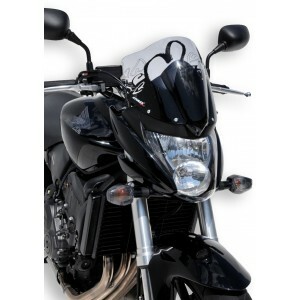 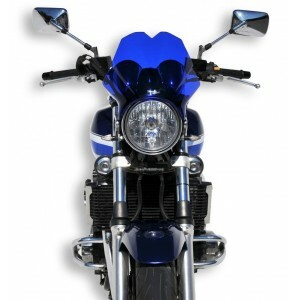 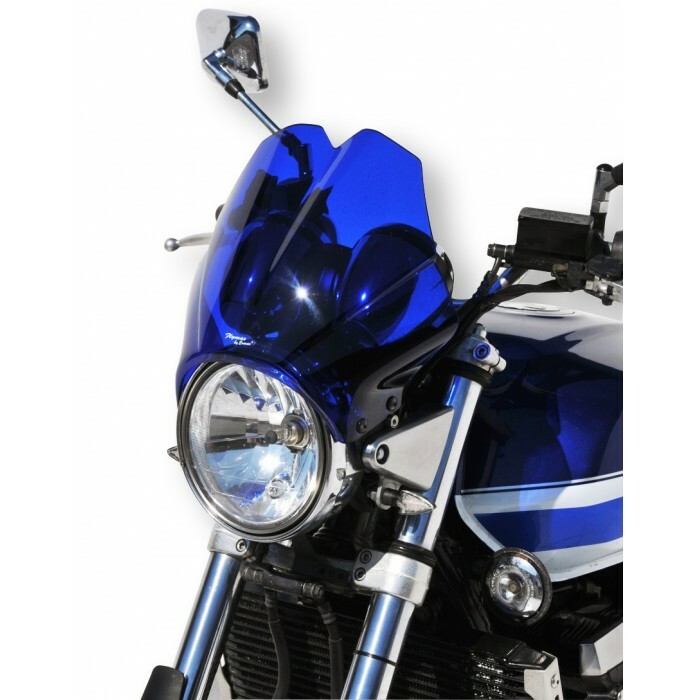 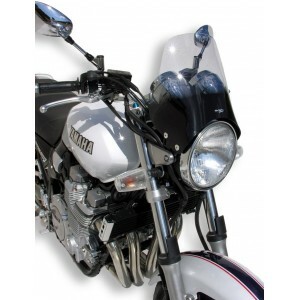 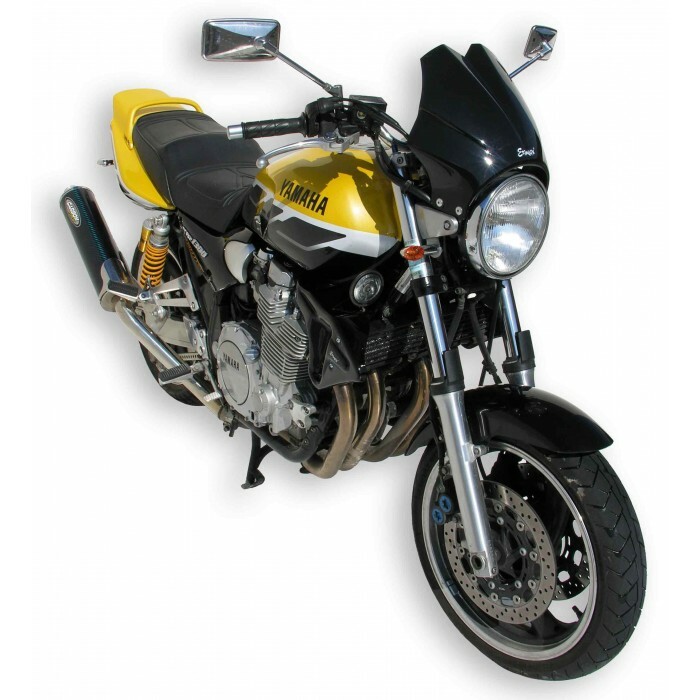 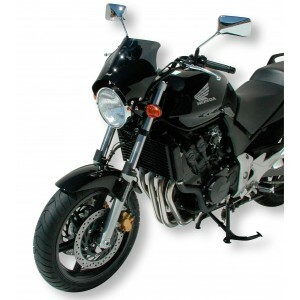 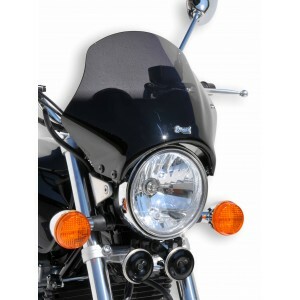 It is adaptable on many roadsters of Honda, Yamaha, Kawasaki, Suzuki, BMW, Triumph and others brands (check our list below) : bikes with round headlights 180 to 210 mm diameter. 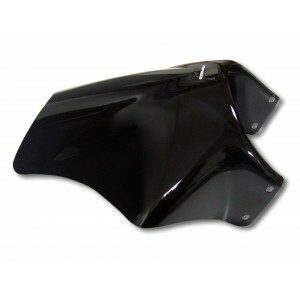 The installation of this accessory allows to reduce your petrol consumption and to improve your protection. Manufactured in poured PMMA (methacrylate) 3 mm thermoformed and delivered with fixing brackets. 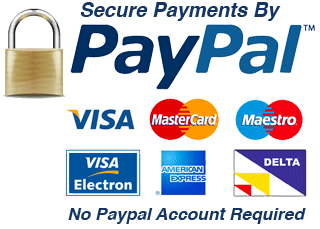 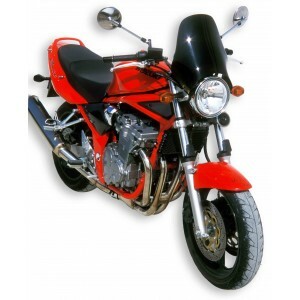 Consult the list of compatible motorcycles. 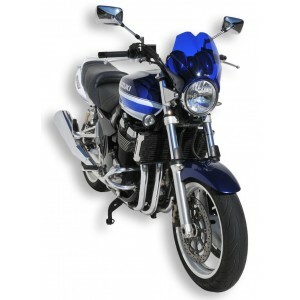 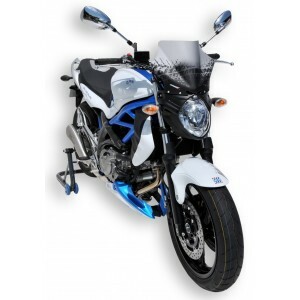 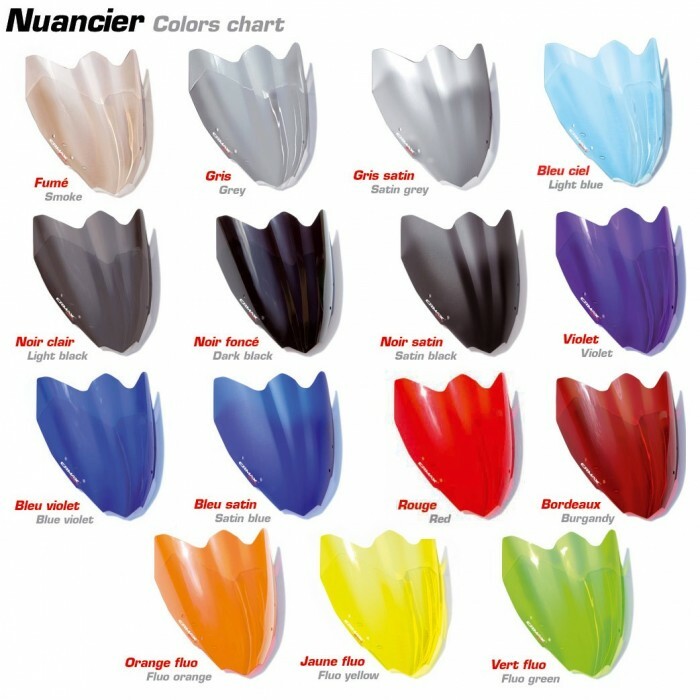 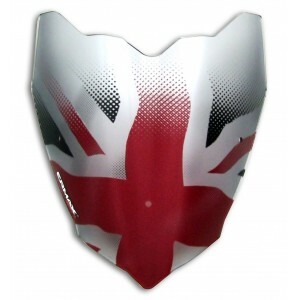 Do not forget to choose your color and the fitting kit adapted to your motorcycle. 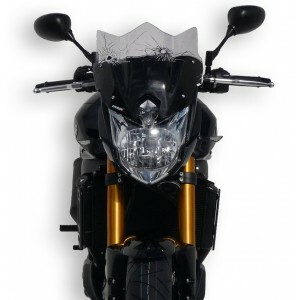 Note : the Flymax does not need special cut for the SV 650 99/02. 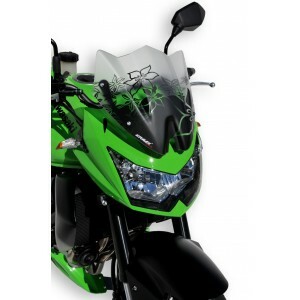 Silkscreen and seal (product with silkscreen manufactured on order only). 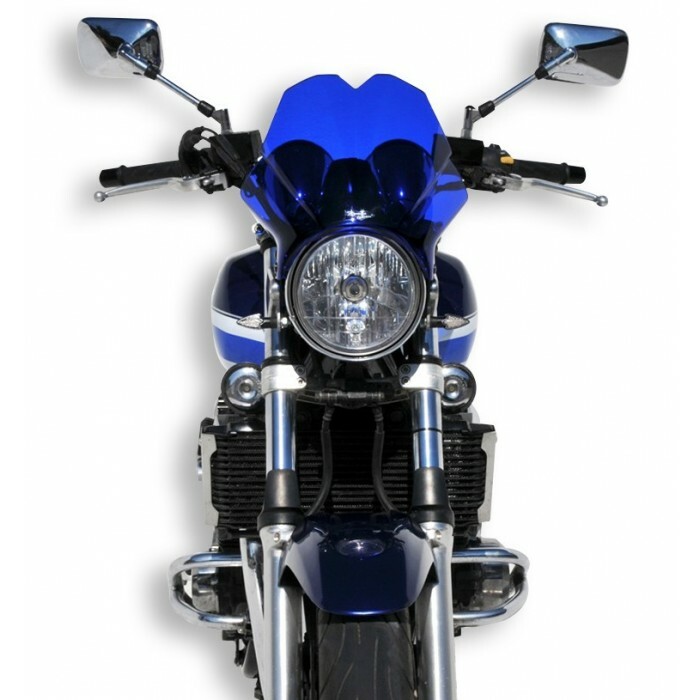 See various models below.